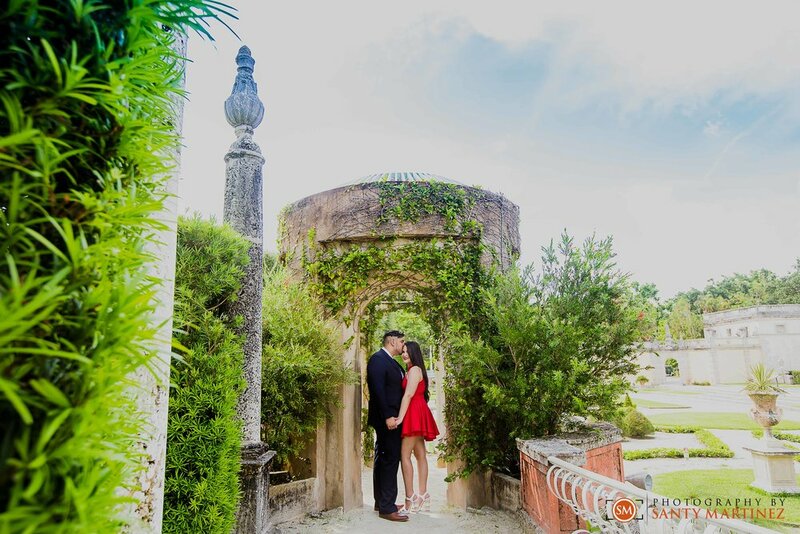 Vizcaya Museum and Gardens is a popular destination for engagement sessions and there is a clear reason why – it is simply beautiful! South Florida in general is full of gorgeous locations. Although we have had the privilege of photographing couples all around the globe, we still never tire of shooting right here at home. We love the lush greenery and blue skies along with the striking architecture that our city has to offer. Often times we have clients that travel to South Florida for this very reason. 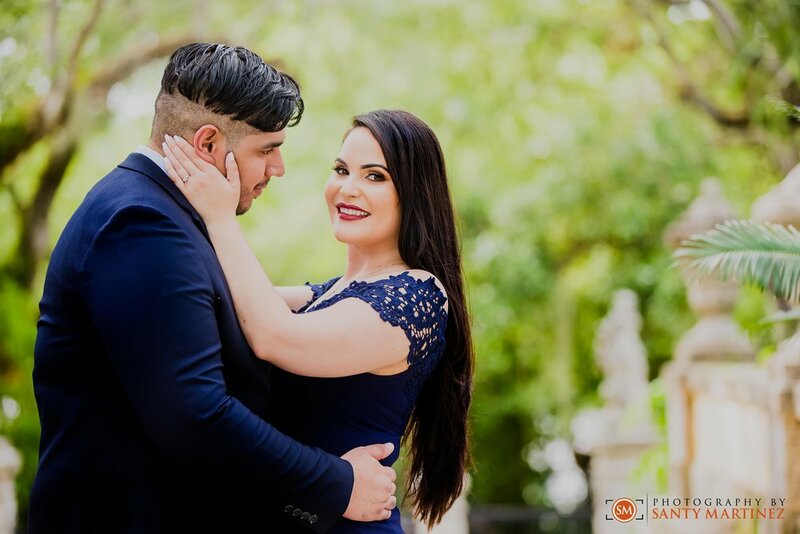 This was the case with Cinthya and Eros who traveled from neighboring Tampa, FL to take advantage of the scenic Vizcaya Museum and Gardens for the location of their engagement session. 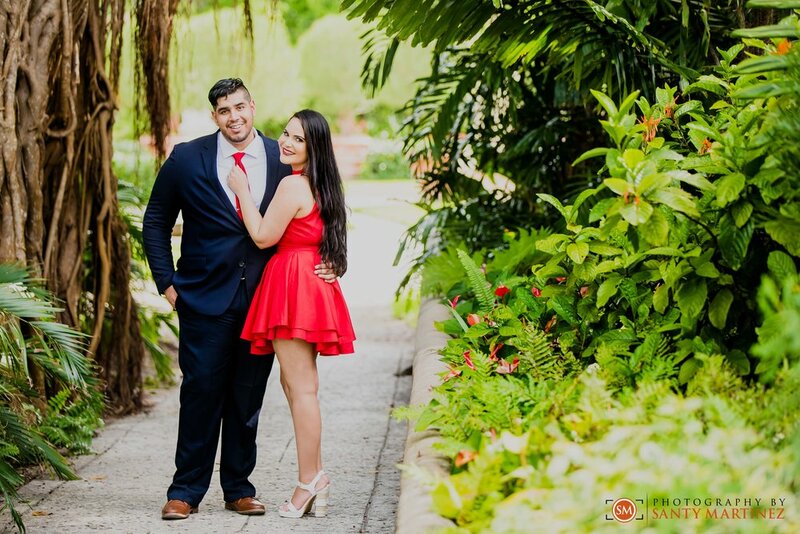 Although Cinthya and Eros now live in Tampa, a piece of their hearts still remain here in the Magic City as they are also planning to have their wedding in their hometown of Miami. Aside from being a beautiful city to get married in, these two have a strong family base here. When brainstorming locations for their engagement session, it was an easy decision for them. For those of you reading our blog right now that are from South Florida, you know that Vizcaya Museum and Gardens is an iconic place for photos. We always encourage couples to choose a place with meaning to them. Vizcaya holds this meaning as it is located in Coral Gables - the very heart of Miami – and symbolizes the very city that raised them. We are so thrilled to have had the opportunity to meet and capture this sweet couple. They looked so classy in their wardrobe choice! 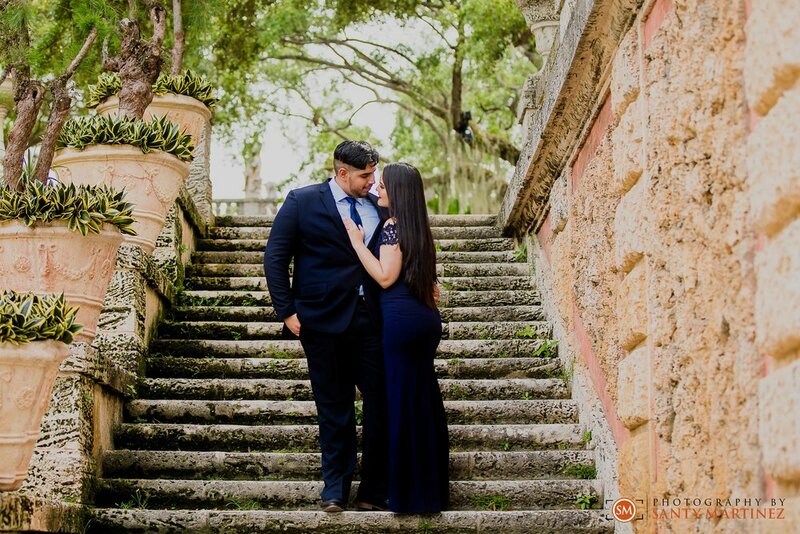 We hope you enjoy the following images from Cinthya and Eros’ Vizcaya engagement session – they are some of our favorites from that day! We also hope that you stay tuned for their upcoming wedding. With such a fun couple we know their big day is going to be amazing and we are honored to be their wedding photographers!